A white man who admired white supremacists mailed 14 pipe bombs to outspoken opponents to Trump policies and speech. The federal government did not notify the local authorities that ICE released 100 Central American refugees to a bus station in El Paso on Friday without any resources. These babies, children, women, and men had been held in ICE holding cells for a week. On Saturday, a white, declared anti-Semite, using an AR-17 rifle and several handguns, attacked the congregation at a Pittsburgh synagogue, yelling, “All Jews must die.” Eleven individuals died; many others were physically injured; all were traumatized. Hate-crimes can sow fear. We must overcome that fear. We must defend American values for all people who live in this country. We must galvanize as a single nation, a nation that venerates each individual equally. We must respect and cherish the differences that make us a country that manifest its motto “e pluribis unum” (out of many, one). We must eliminate prejudice and discrimination in all forms. Such hate eats at the fabric of the American truths we hold to be self-evident --- life, liberty, and the pursuit of happiness. We cannot participate in hate speech, vilifying the “other,” be it someone from a different race, religion, ethnic origin, national origin, gender identity, sexual orientation, disability, and political party. Our rhetoric must be civil. Still, our words are not enough. We must act. One positive and powerful way that we can shape the country’s principles and future is by voting. The Massachusetts Secretary of State’s office has posted a list of the cities and towns where early voting is possible through this coming Friday, November 2. Please check out the web site here. Most cities and towns have voting hours on some evenings, too. If you miss the early voting, you can still vote on Election Day, Tuesday, November 6. Hours for voting for most cities or towns are 7:00 am to 8:00 pm that day. 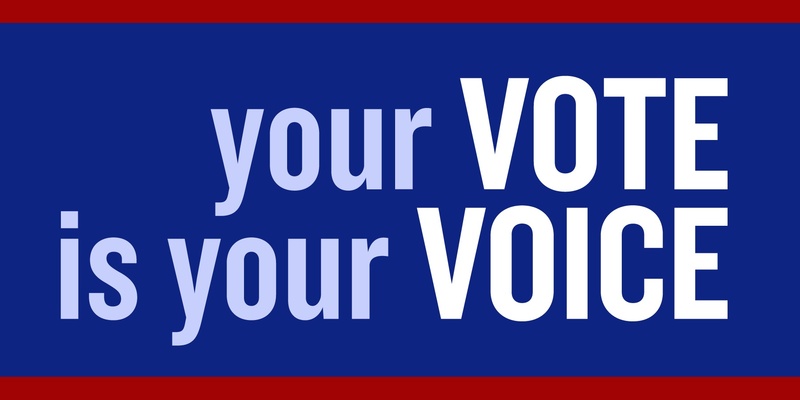 Click here to see where your polling place is. A list of polling locations throughout the U.S. can be seen here. 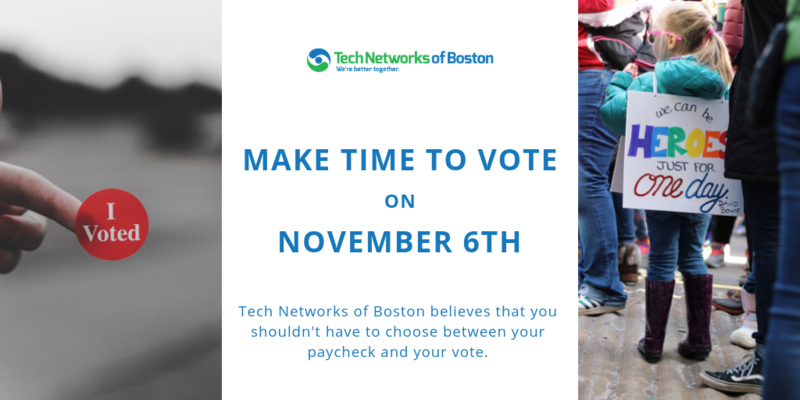 Tech Networks of Boston believes that you shouldn't have to choose between your paycheck and your vote. This year, we are providing employees with up to two hours off work with pay at the beginning or end of the day to vote. We’ve also registered on ElectionDay.org, Time to Vote, and Turbo Vote Challenge – three nation-wide groups committed to increased voter participation. You can learn more about ElectionDay.org and add your company here. You can learn more about Time to Vote and see the full list of participants here. You can learn more about Turbo Vote Challenge and register for the challenge here. 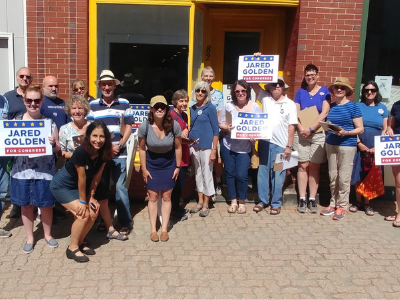 Make your voice heard this November 6, and make time to vote! Your vote can make a difference.